Our research just published in the journal Anthrozoös revealed that among pet owners with low levels of human social support, high attachment to pets predicted significantly higher scores on loneliness and depression. These findings highlight the complex nature of the relationship between pet ownership and psychological health. I'm working with an extraordinarily talented doctoral student, Nikolina Duvall Antonacopoulos. Nikolina and I have been working together since her undergraduate studies, as I agreed to supervise an honours-year project based on her interest in dogs as companion animals and their effects on our well-being. As a psychologist with an "other life" as a dog musher (I have a kennel of 11 huskies), I have been very happy to supervise Nikolina's work and think about these issues. Nikolina has published a variety of studies, including things like the effects of anthropomorphism of our dogs. With the rise of doggie boutiques, this is a very interesting topic. Today, the focus is on the unexpected finding that being emotionally attached to your pet while at the same time having low levels of human social support predicts higher loneliness and depression scores. If you have a dog, if you're living alone, I think this study will interest you too. The potential psychological health benefits that pets may confer to individuals living in one-person households is of particular interest. Worldwide there is a growing trend toward one-person households. One-person households accounted for 26% of American households in 2005, and these figures are similar for Europe and Australasia in 2006. It is expected that the number of one-person households will continue to increase in years to come at a faster rate than other types of households. Based on a number of previous studies, it is usually concluded that pet ownership may be beneficial for the psychological health of individuals living alone. Our most recent study indicates that it's not so simple. Our study built on previous work that examined the possible psychological health benefits of pet ownership for individuals living alone by considering the role of human social support and pet attachment. In the case of human social support, previous research comparing pet and non-pet owners suggests that, for individuals who live alone, pets provide psychological health benefits, such as reducing negative moods and loneliness levels. However, the studies that examined the psychological health of individuals living alone with or without a pet did not explicitly examine the role of human social support. This is surprising given that, for individuals living alone, pet ownership (pet vs. no pet) and levels of human social support may both certainly affect psychological health. In her research, Nikolina argued that, for individuals living alone, levels of human social support and pet ownership may interact to predict psychological health in terms of loneliness and depression levels. In the case of pet attachment, there was no agreement in the existing literature as to whether high levels of attachment to pets were related to psychological health. However, this relation has not been examined among individuals in the general population who live alone. It may be that, for individuals living alone, the companionship provided by their pet is advantageous for their psychological health by, for example, reducing their loneliness levels. One hundred and thirty-two Canadian pet (dog and cat owners) and non-pet owners (defined as individuals who did not own a dog or cat) who were at least 18 years of age and living alone completed a 15 minute on-line survey of "factors affecting the well-being of individuals living alone." The sample consisted of 66 pet owners (40 dog owners and 26 cat owners) and 66 people who did not own a dog or a cat. The participants completed measures of perceived social support ("I can talk about my problems with my friends"), emotional attachment to pets ("Quite often, my feelings toward people are affected by the way they react to my pet"), depression and loneliness. We examined the possibility that attachment levels to pets and human social support levels interact to predict psychological health in terms of loneliness and depression levels. Contrary to expectations, pet owners and non-owners living alone did not have significantly different levels of loneliness or depression. Our finding of the lack of a direct relation between pet ownership and either loneliness or depression was unexpected, given that, in their responses to an open-ended question, both dog and cat owners indicated that the most important benefit of pet ownership was companionship. Furthermore, 82.5 percent of participants indicated that their pet has had a strong positive impact on their life. Our findings suggest that, although pets may be a source of companionship, the fact that pet owners living alone were not less lonely or depressed than individuals living alone without a pet raises the possibility that the benefits of pet ownership for dog and cat owners may only be apparent when other factors, such as levels of human social support, are considered. When we examined the influence of human social support, results revealed that dog owners, but not cat owners, with high levels of human social support were significantly less lonely than non-owners with high levels of human social support. However, among individuals with low levels of human social support, there was no difference in the loneliness levels of dog and cat owners compared to non-owners. Furthermore, there were no differences in the depression levels of either dog or cat owners, according to their level of human social support. The findings regarding loneliness suggest that, among individuals living alone, dog ownership is most beneficial for individuals who have sufficient human social support. 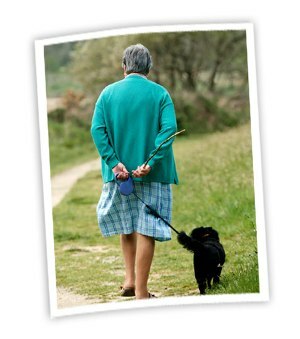 While our findings only held for dog owners, the results are consistent with previous research with seniors. The conclusion from this earlier research was that individuals who benefited most from pet ownership were likely to already be well-supported in their social relationships and not dependent on the pet for company or to boost self-esteem. One possible explanation for the finding that dog owners with high levels of human social support were significantly less lonely than non-owners with high levels of human social support is provided by examining types of perceived social support. Generally we can distinguish three types of social support: emotional support (meeting an individual's need for love), tangible support (practical assistance, such as buying groceries when an individual is ill) and informational support (helping to solve problems and provide guidance). While it is unlikely that a dog could provide either tangible or informational support, a dog could provide emotional support. Indeed, the third most frequently cited benefit of dog ownership in our study was love and affection, endorsed by 41% of the sample. Among individuals living alone with high levels of human social support, their dog may provide an additional source of emotional support that is not available to non-owners. However, among individuals with low levels of human social support, the emotional support provided by a dog may not be sufficient to compensate for insufficient human social support. This may explain why they do not differ from non-owners with low levels of human social support in terms of loneliness levels. There are a number of possible explanations for the finding that dog ownership, but not cat ownership, was beneficial for the loneliness levels of individuals living alone with high levels of human social support. Dog owners differ from cat owners in that dog owners need to walk their dog. In fact, the second most commonly cited benefit of dog ownership, endorsed by 59% of the participants, was that dog owners received exercise walking their dog. Furthermore, given that researchers have found that increased levels of physical activity are associated with mental health benefits, it is probable that dog owners are receiving mental health benefits from their exercise. Researchers have also found that dogs act as social catalysts by increasing dog walkers' number of human-human social interactions, possibly because people are perceived as more likable when they are with their dog, and dogs provide a neutral topic for conversation and, therefore, act as social "ice-breakers." In addition, these human-human interactions may increase people's social networks and subsequently confer health advantages to dog owners. Taken together, this research suggests that, among individuals living alone, dog owners may avoid becoming lonely through meeting people and making new friends, as a result of dog walking. We found that among pet owners living alone with low levels of human social support, those who were highly attached to their pet were significantly more lonely and depressed than pet owners with low levels of attachment to their pet. In contrast, among pet owners with high levels of social support, loneliness and depression levels did not vary according to level of attachment to the pet. An important "however" . . . Although we found that among individuals with low levels of human social support, pet owners who were highly attached to their pet were more lonely and depressed than pet owners who had low levels of attachment to their pet, there may be subgroups for whom this finding does not hold. For example, previous research has found that among bereaved seniors with low levels of human social support, pet owners who were highly attached to their pet were less depressed than pet owners with low levels of attachment to their pet. Another possible interpretation of these findings is that individuals who lack human social support and become highly attached to their pet may spend more time at home caring for their pet compared to individuals who are less attached to their pet. For example, individuals with high levels of attachment may feel a stronger obligation to rush home from work or leave a social event early to care for their pet. Support for this suggestion comes from previous research that showed that attachment to pets was related to the number of hours spent with the pet. Among individuals with low levels of human social support, if they choose to spend time with their pet rather than socializing with other people, they may begin to feel somewhat socially isolated. Social isolation in favor of pet companionship may undermine psychological well-being. Concluding thought . . . I'm sure that this study will evoke lots of mixed reactions. It has from us as well, and Nikolina continues her studies. The thing we can all agree on is that the effects of pet ownership on our psychological and physical well-being is complex. Enough said. This is a very long blog posting as is, and it's time to go run my dogs! Ah, that's another route to well-being through pet ownership - shared goal pursuits . . . hey Nikolina, I've got an idea for another study . . .
Duvall Antonacopoulos, N. M. & Pychyl, T. A. (2010). An examination of the potential role of pet ownership, human social support and pet attachment in the psychological health of individuals living alone. Anthrozoös, 23(1), 37-54. One thing that seems to have been overlooked is the basic temperament of different dog owners. Those of use with strong attachments to our pets, AND depression and loneliness, might very well be even more depressed and lonely without our pets. We might suicide or end up in psychiatric hospitals/nursing homes without our pets to give us a reason to keep going. This is a fascinating study on many levels. I had never categorized my relationship to my Beagle in terms of attachment level, but I was very attached to him. Without hesitation, I accepted responsibility for every aspect of his care. As your article pointed out, for years I even rushed home during lunch to check on him or left social events early to ease any tension he (or I) may feel from him being left alone. I always felt like it was a rewarding experience but there was some anxiety attached to it as well. Not so much from any deficit of social interaction, but the constant concern over his well being was always in the forefront of my mind. It occasionally occurred to me that my relationship and attachment was also related to procrastination on choosing a career. Depending on one's level of commitment, there's always plenty to do with and for one's pet, especially as he reached his older years. Now that it’s been just over a year since we had him put down, there is a very “complete” type of satisfaction in knowing I gave him so much more than many pets receive. I’m not certain I could do it again with such vigor, but I’m able to look back and know he was never neglected. This study seems to neglect cat owners. A relationship to a cat is more similar to one with a person, as cats are not waiting for orders from their human. In fact, we did include cat owners in a variety of our studies. When we examined the influence of human social support, results revealed that dog owners, but not cat owners, with high levels of human social support were significantly less lonely than non-owners with high levels of social support. However, among individuals with low levels of human social support, there was no difference in the loneliness levels of dog and cat owners compared with non-owners. Furthermore, there were no differences in the depression levels of either dog or cat owners compared with non-owners, according to their level of human social support. So people who need people are still the luckiest people in the world? And pet people who love pet people are the MOST luckiest people! unless you could entrust someone with him ahead of time...ah well this scenario is not even in the sphere of reality but goes to show that you can hardly win even theoretically ha ha...yes, ideally you'd like perfect friends, lovers, And a nice healthy lineage of pets! I hear people saying all the time to people who grumble about not having friends or a significant other "just get a dog." I always thought that was so annoying. I never did think that was right; a dog or cat cannot be a cure-all to loneliness. You can't really have a conversation with an animal, or rely on it to help you out or work through your problem. People still need that in their lives, and a lot of people are fooling themselves to believe that getting an animal that is willing to love you just because you feed it will ever fulfill those needs. People are not the cure to loneliness either. Loneliness is where we want intimacy. We have to learn to be OK with ourselves and to embrace being alone. You're lonely when you're resisting it. People are not loyal. Pets are. As if becoming attached to a human is better. I've found that option to be far worse; quite a bad idea, for sure. We require intimacy and bonding. This doesn't necessarily have to come from another human being. Humans rarely show unconditional love and loyalty. In conclusion; this article is flawed. Unconditional love and loyalty? EVERYTHING in life is conditional. What is love? Is your definition of love the same as pets'? If you cannot say what love is, how can you say they love you? Do they love you or what they get out of you? You feed them. Their survival depends on you. I feel sorry for you, Yang, if you have no understanding of love. I can only presume that you have Asperger's Syndrome. Love is an emotion, and does not lend itself to verbalisation. Maybe the people who are both highly attached to their pet and extremely lonely are attached to their pet BECAUSE they are lonely. Anything to lessen the loneliness, right? It would be interesting to see how this study applies to different personality types like introverts. As a born introvert, I am actually happier with limited human contact. Although I do live alone and also have a dog, my levels of happiness and well being remain relatively constant. I was just as content before I adopted my pet, although I can say he has brought me much joy. Often when I read these studies I wonder about how they apply to people of different temperaments. Certainly extroverted folks would probably be more likely to be depressed with less human contact than an introvert would. Anyhow, that is my take on it. Due to excessive use of technology we are not mixing up with people to a great extent and this leads to depression in some people. This causes a bad effect on the person's health. To avoid this problem we should have a continuous interaction with people who are nearby us, and wont it be great if the technology helps us achieving this? Onata is here to provide us with lots of different services within our neighbourhood.This not only helps you with services but also helps in building good relations with your neighbours. I am extremely introverted. People exhaust me and make me anxious. I prefer to be alone, but I never "feel" lonely. I also have two border collies brother and sister who I just adopted 5 months ago. I had a German Shepherd who passed away almost 2 years ago. I was extremely attached to him and was devastated when he died. It took me a while before I was able to even think about getting another dog, but during that time I felt like something was missing from my life. I have no interest in a relationship with a person right now, or possibly ever. But when I come home to my dogs, the joy I feel is just indescribable. It's like the weight of the world disappears and I'm just genuinely happy to be around them. Living with only dogs, for me at least, is much less stressful and much less demanding than human companionship. Give me dogs over people any day. I get enough forced human interaction at work. Needless to say I'm not missing a whole lot. Life as a Widow: How Can I Attend My Son's Wedding Alone?